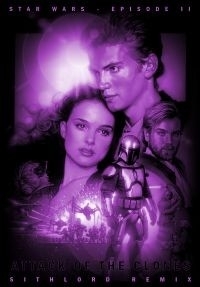 With lots of small cuts and new transition, this version of ATTACK OF THE CLONES is trimmed down to a more satisfying viewing experience. Exactly like the faneditor intended it. - After the opening crawl the camera now pans down to match the other five Star Wars movies. All dialogues before the ship explodes are cut, making it more unexpected. The deleted scene with Padme at the Senate is inserted. - Obi-Wan and Anakin's first appearance in the elevator and some dialogue after they meet with Padme are cut. The chase for Zam is shortened down. Many of the bad CGI effects throughout the movie are cut also. - Jar Jars few scenes are trimmed. Many of Anakin's and Obi-Wan's bad dialogues are trimmed over the movie. - Dexter Jettser is totally cut. Only his voice remains, dubbing the Jedi Analysis droids that are inserted, now revealing the Kaminoan's. Anakin and Padme's departure is cut, and also the Yoda and the younglings scene. - The discussion between Yoda, Mace and Obi-Wan is cut. The almost similar scene with only Obi-Wan and Mace at the landing platform is inserted. - Anakin and Padme's arrival to Naboo is very shortened. They land and then goes to Padme's parents house. Their discussion while walking and the meeting with the Queen are cut. - Anakin's (strange looking) dream in bed is deleted. - Many of Boba Fett’s lines and laughs are removed, making the asteroid-chase more dramatic. - The whole droid factory sequence is cut. Anakin and Padme are just trying to negotiate with Dooku (deleted scene inserted). The droids don’t leave the ship, meaning they will not appear at the arena either. - The arena sequence and the following battle is cut at many places to remove stupid and strange stuff. - Count Dooku does not look exhausted after cutting Anakins arm off and the little green CGI-muppet does NOT use a lightsaber. 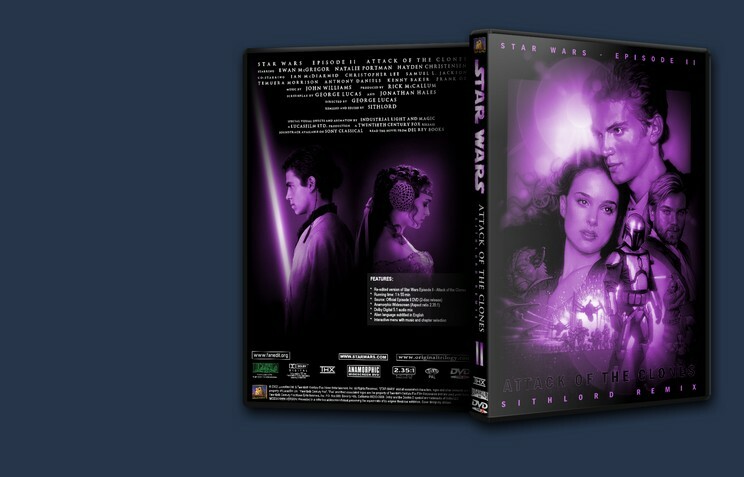 - The end sequences are shifted so the Anakin/Padme marriage is now shown before the departure of the Clone Fleet, making the end more dramatic. The music is also changed during the credits. + lots of small cuts and new transitions all over the movie.